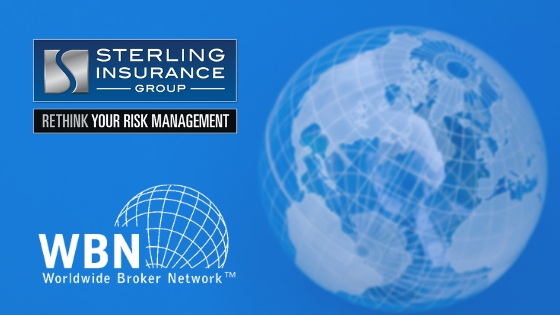 The Worldwide Broker Network™ (WBN), the world’s largest fully integrated international network of independent property & casualty and employee benefits brokers, is pleased that Sterling Insurance Group has recently joined its network of 115 member firms across six continents. Sterling Insurance Group, based in Sterling Heights, Michigan (USA) in the metropolitan Detroit region, continues to be one of the fastest-growing independent insurance brokers in the United States. Established in 1996, it delivers comprehensive personal and commercial insurance-sourcing services, ranging from property & casualty to employee benefits and special lines. Sterling offers deep risk management expertise and has earned prestigious awards for expert account servicing and sales. “Sterling Insurance Group joins WBN at an important time in our network as we celebrate our 30th anniversary,” said Francie Starnes, WBN’s Chief Executive Officer. “With demonstrated talent, energy, and an impressive track record in the key market of Michigan, we’re looking forward to their valuable contributions,” Starnes added. “Sterling Insurance Group is thrilled to join the Worldwide Broker Network and offer our service to customers around the globe,” said President and Principal of Sterling Insurance Group Joe Haney.